← Updated Holiday Calendar and Much More! Wow! What a great 2014 we’ve had! A HUGE thank you to all of you for your patronage and support throughout this past year. We are so excited for this coming year and all what is to come! Check out our updated calendar! 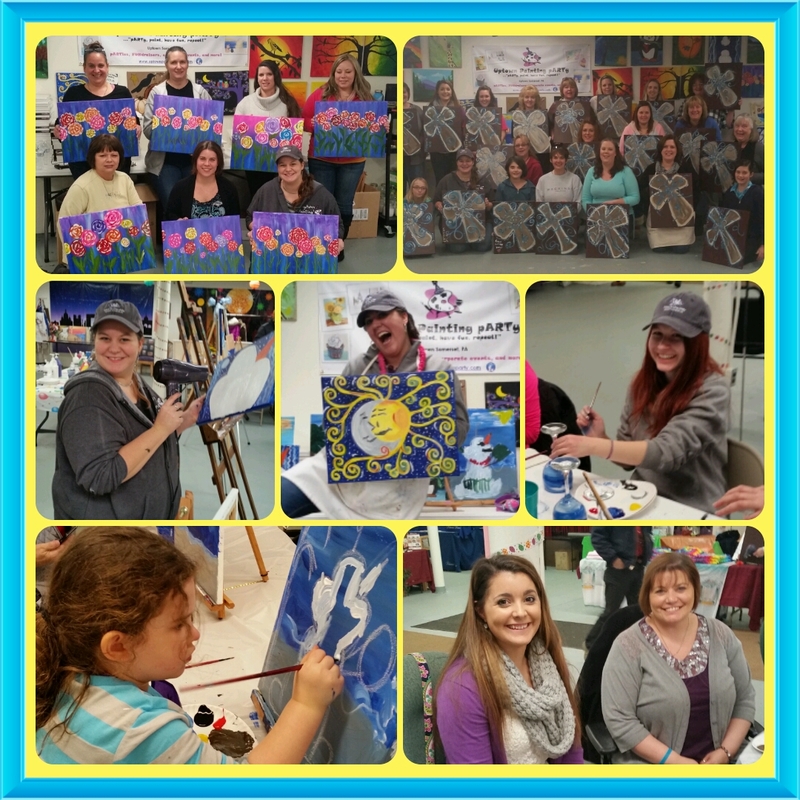 We have events and we keep adding new FUNdraisers and new parties. To book YOUR next FUNdraiser or private pARTy, contact us now! 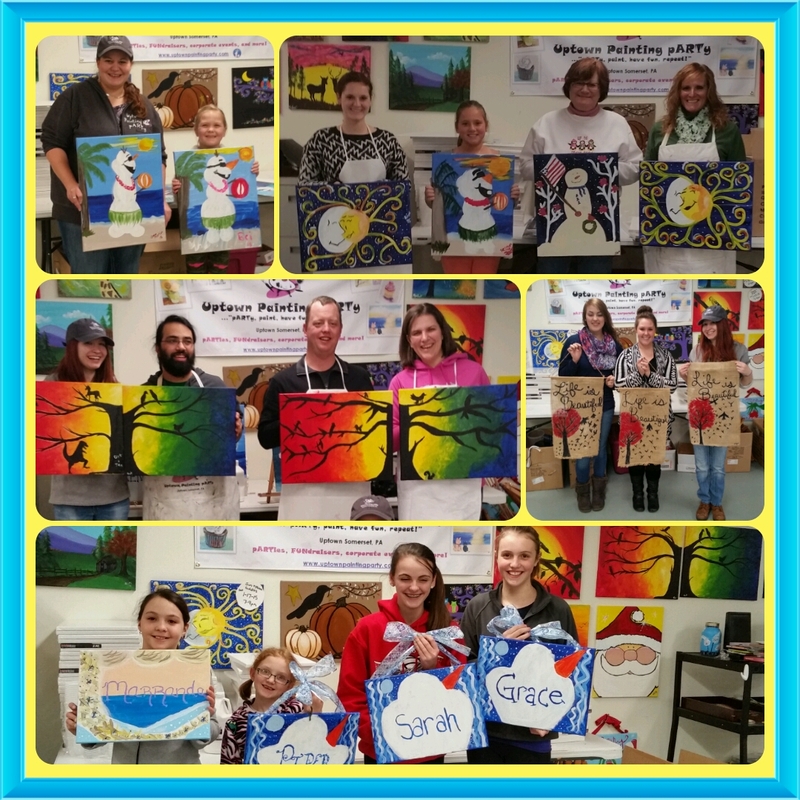 FUNdraisers- Helping Others, One Painting at a Time! Have you heard about our FUNdraisers? We help raise money for nonprofits and charities by simply inviting people to come and pARTy with us! We donate 50% of our proceeds back to the charity or nonprofit. It’s simple and fun! Since May of 2014, we have helped raise over $5500 for local organizations and families. Interested in learning more? Contact us today and book your event now! What a great time we all had at the 2015 Fire & Ice Festival as Somerset, Inc celebrated 20 years! Congratulations and best wishes for another fabulous 20 years and more! Are you on Instagram?? Follow us! We post pictures of events, give up to date news, and host contests to win FREE pARTies and MORE! This entry was posted in Event Info, General Info, News & Updates and tagged birthday party ideas in somerset pa, events near hidden valley, events near seven springs, fundraisers in somerset county, pa, pa events, somerset, somerset county, things to do in somerset pa, uptown somerset. Bookmark the permalink.